Tintype of an African-American Couple. From: Auction Finds…and the stories behind them. 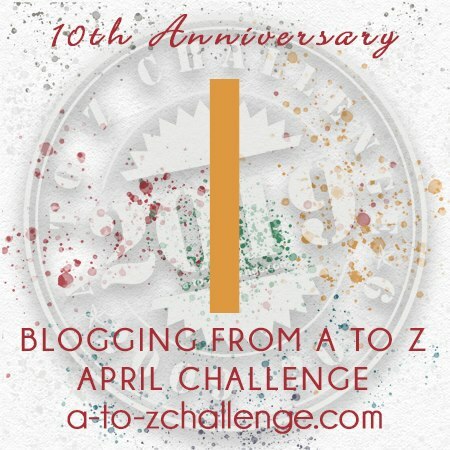 Today begins the 2015 A-Z Challenge. 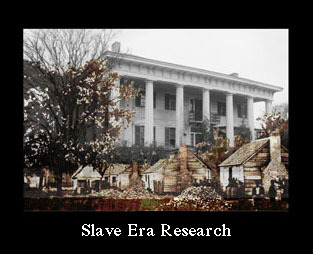 This year I will be writing a series of sketches about those formerly enslaved on the Cleage plantations in Athens Tennessee. Most are not related to me by blood. 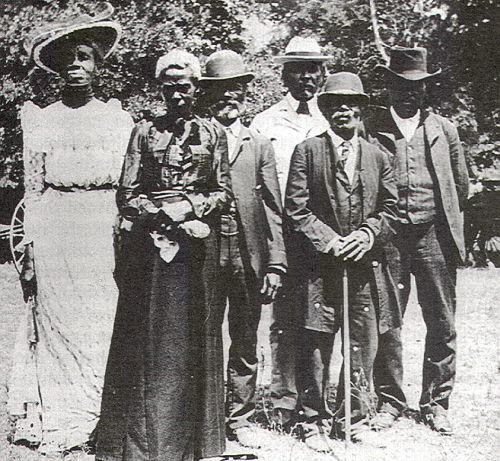 Our families came off of the same plantations – those of Samuel, Alexander and David Cleage, but were not blood relatives. Enlarge images by clicking on them. Abraham Cleage was born into slavery in about 1838 in McMinn County, Tennessee. 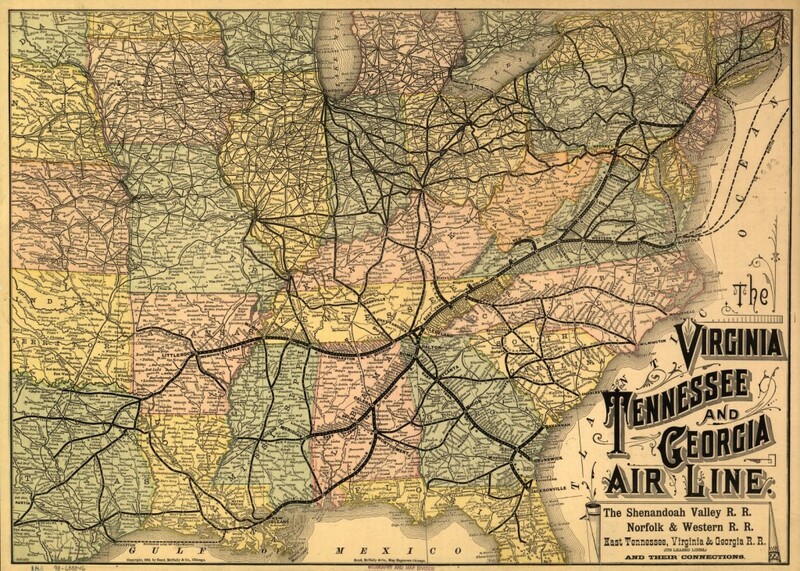 By 1864, the Union troops were in control of Eastern Tennessee. 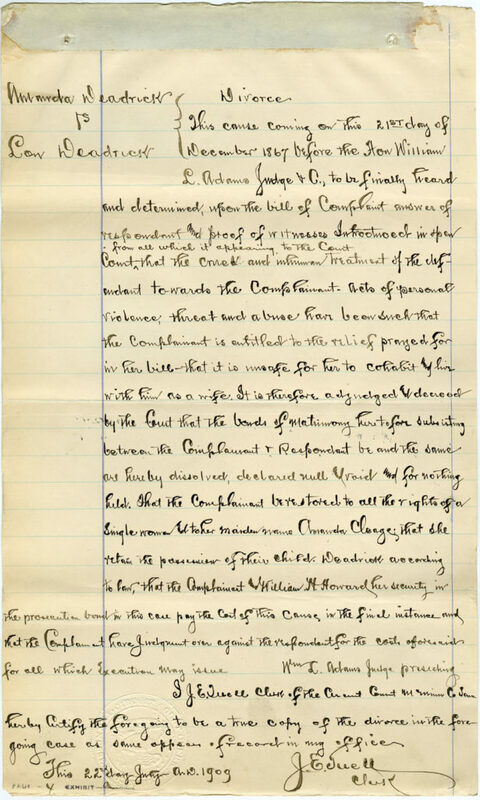 Abraham left slavery and enlisted with the United States Colored Troops Heavy Artillary Unit in Knoxville, TN on July 4, 1864. His enlistment papers described him as 5 ft 7 in with black hair, black eyes and a dark complexion. 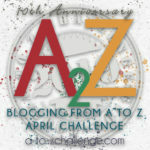 On March 31, 1866, he was mustered out in Chattanooga, TN. He had $42.15 due him. Amanda Cleage was born about 1837. She and her parents, Clinton and Sallie, were slaves on David Cleage’s plantation in McMinn County. 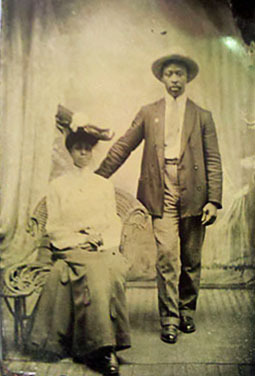 Abraham and Amanda married in 1870. Reconstruction was over. With it’s end came the rise in lynchings, Jim Crow laws legalizing segregation in trains, street cars, restaurants, waiting rooms and schools. The right to vote was stolen through the use the poll tax, literacy tests, grandfather clauses and property ownership requirements. Train tracks are shown by the heavy black lines. Credit Line: Library of Congress, Geography and Map Division. Not long after their marriage the couple moved west to Austin, Travis County, Texas. It is likely that they took a train. There was a train station in Athens and tracks connected all the way to Texas. Their daughter Sarah was born there in 1876. In 1880 Abraham was working as a laborer. 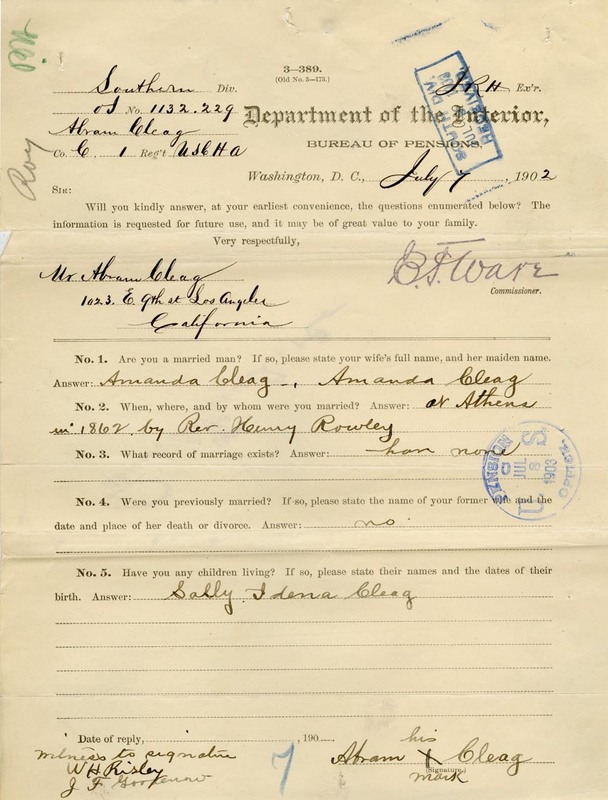 In addition to their family, the household included a border, Richard Cleage, age 21. There is a Richard Cleage, same age, who appears in the 1880 census back in Athens with two children born in Texas. 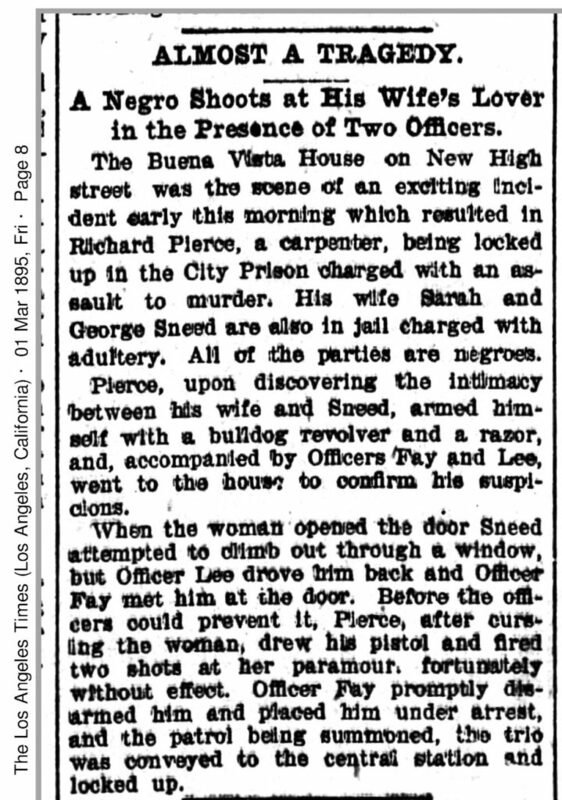 They lived in Austin from at least 1876, when their daughter was born, until they appear in the Los Angeles City Directory in 1888. Abraham worked as a laborer. Amanda kept house. 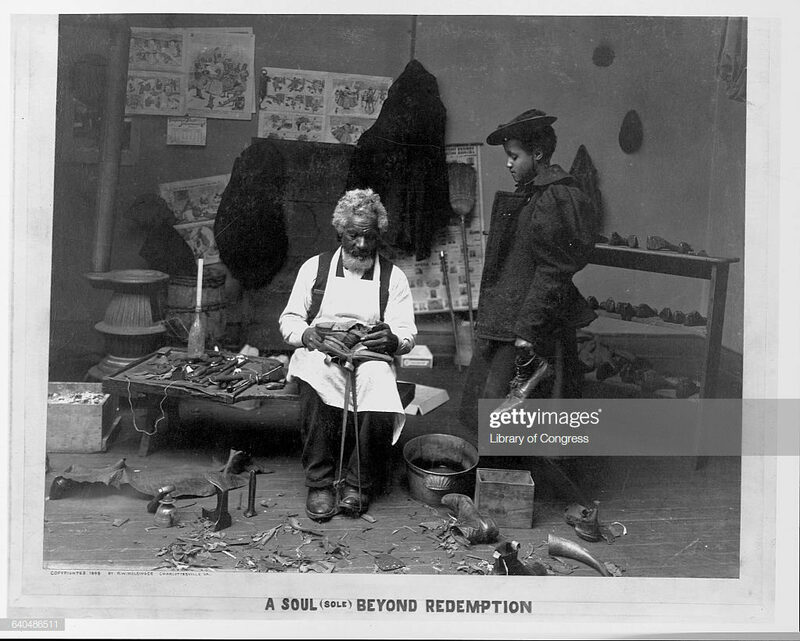 In 1888 the family relocated to Los Angeles, California where Abraham registered to vote and continued to work as a laborer. In 1893 he filed for his pension as an invalid. Amanda was not working outside of the home during these years. By 1900, they owned their own home, with a mortgage. Abraham could neither read or write. Amanda could read but not write. Abraham was 62. 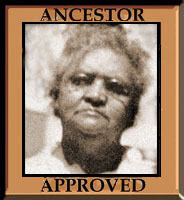 Amanda was getting younger with each passing census and was enumerated as 48, although she was closer to 60. She had given birth to 2 children and both were alive. I can only name one, Sarah, who was 24 and married to Richard Pierce, a carpenter who had been unemployed for 5 months during the past year. Sarah had given birth to 2 children but only 1, 6 year old Evelyn was living. Sarah and Richard could read and write. They were all living with Abraham and Amanda. Abraham died on April 14, 1908. He is buried in the Long Beach Municipal Cemetery. Although I found his information in several death indices, I have not found a death certificate and so do not know how he died. Amanda began to receive her widow’s pension the following month. 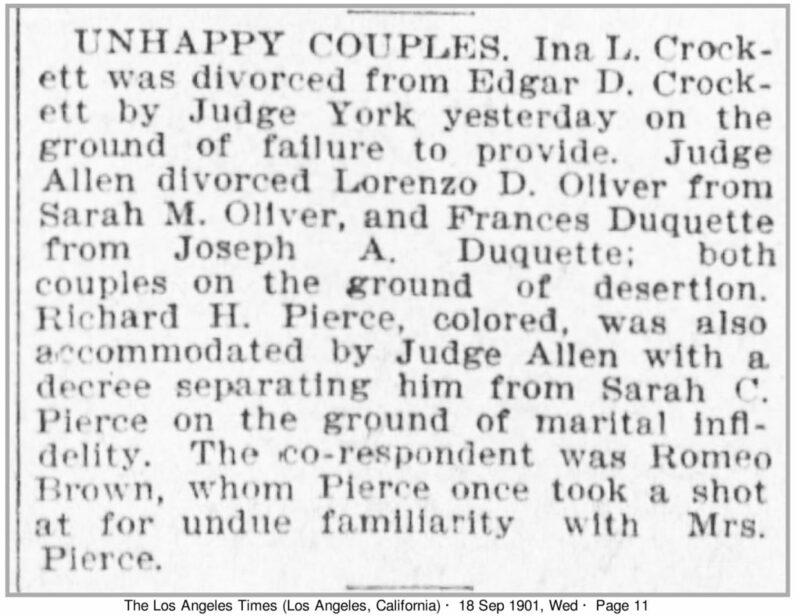 By 1910 only one of Amanda’s children was still living. I cannot find Sarah anywhere, I assume she died. Sarah’s husband, Richard Pierce has remarried and is living with his new wife and young daughter. Evelyn, Sarah’s daughter is missing. It is possible she is living with the other living child. Amanda began taking in laundry to support herself. 1916 found Amanda back in Austin, Texas, continuing to take in washing. 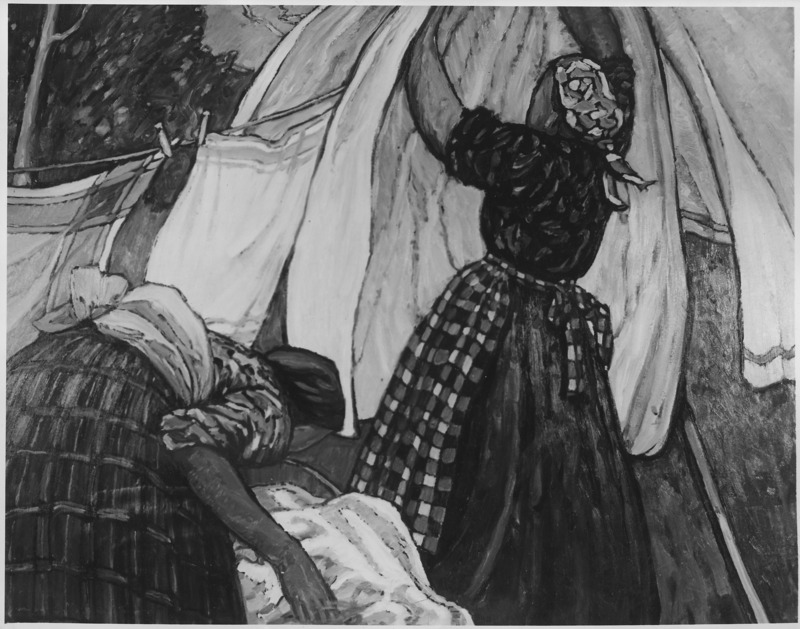 Perhaps she was working her way back East, because by 1920 she was once again living in Athens Tennessee, on her own and still doing laundry. She gave her age as 58, but she was closer to 83. On July 22, 1921, Amanda broke her leg, receiving a compound, open, fracture. 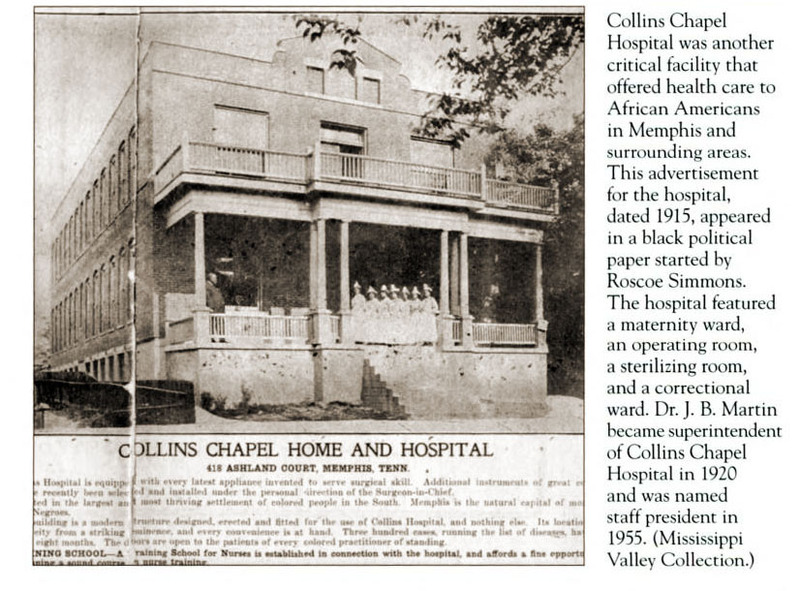 She was taken to Collins Chapel Hospital in Memphis. Her sister Lydia and her husband Charles lived in Memphis. Amanda may have been visiting or may have moved to Memphis to be closer to her sister. Two weeks later her kidneys failed and she was dead at 84 years. Lydia was the informant on the death certificate. From page 43 in “African Americans in Memphis” by Earnestine Lovelle Jenkins. Amanda Cleage was buried in Mt. Zion Cemetery on August 9, 1921. According to the Tennessee Historical Commission, “Zion Cemetery, comprising 15 acres, was established in 1879 by the United Sons of Zion Association who responded to the need for a respectable burial site for African Americans.” As time passed and the original founders died, there was no organization to continue caring for the cemetery and it became seriously overgrown until it was impossible to find the graves. In the last several years improvements have been made and 5 acres have been restored. Work is still progressing. The 3 minute video below tells the story. 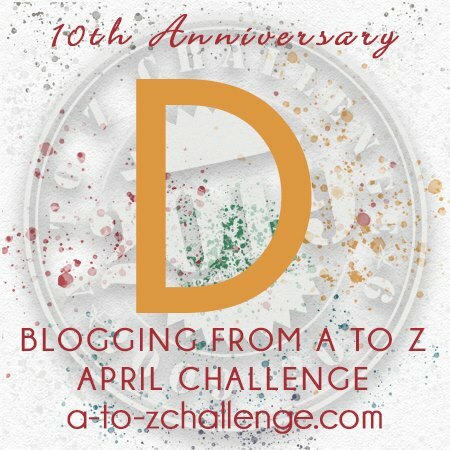 I gathered this information from census records, death records, city directories at Ancestry.com, FamilySearch.com and other above mentioned online sources.